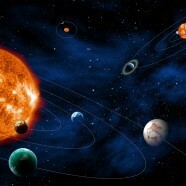 A new mission has been selected by the European Space Agency to hunt for Sun-Earth systems beyond our solar system. PLATO (Planetary Transits and Oscillations of stars) will be tasked with identifying systems similar to our own, looking for Earth-sized and super-Earth planets orbiting within their host star’s habitable zone. Find our more here.